5. Joint Venture arrangements, formal or informal with like minded local firms who can best serve your interests in their markets. They may be, for example, a local service provider providing a similar but not competitive service to the one you are offering. * Am I looking for an agent to sell on commission or retainer, and do I need an overseas representative to take ownership of my goods or to locally be responsible for the service I wish to provide? * Does an agent/distributor need particular technical knowledge to sell my product or service and is it feasible to train their staff? * What type of customers should an agent/distributor be targeting? For example, architects for building products, banks for financial service packages, etc. * What size operation am I looking for? For example, small, new exporters should avoid getting &lsquo;lost&rsquo; among a number of other firms, some of which may be in competing lines, represented by the same major distributor. * What geographical area does the agent/distributor cover, and is it necessary to have more than one representative to cover the area? Check to see if the area they state they can cover, is actually covered! Exaggerations are not uncommon. * What servicing and warehousing facilities does the agent/distributor have? * Does the agent/distributor need to have links with the government? * How many sales staff does the agent/distributor employ and do they have the right expertise? * What is the best location for an agent/distributor? For example, a representative in Brazil handling mining equipment is better located in Belo Horizonte or Rio de Janeiro rather than in Sao Paulo. * Customer characteristics - the greater the number of customers, the greater the need for agents and distributors. For instance, if only ten customers want an industrial product or a specific service, direct sale or employing one agent may be the best solution. But, if you have a large number of low-volume retailers, it may be best to reach them via distributors. * Product/service characteristics - if an item has a high unit price such as machinery or a major call centre software package, selling direct is usually the least-expensive option. However, if an item is technically complex, it may be necessary to have a local manufacturer/service provider or distributor with a strong technical after-sales service capability undertake or supervise sales. Selling perishable products will also require distribution through channels with experience in careful handling of such products. * Middleman characteristics - if you select a middleman, consider whether they are: product or service specialists or general intermediaries? needed because of business practices in the country? only available because all the reputable middlemen already represent competitive lines? 'cherry pickers' or &lsquo;order takers&rsquo;, rather than promoters of total product ranges or service offerings? Important: Seek legal advice before signing a commercial agency or distributorship agreement. Tendered business can represent a ready export opportunity waiting to happen. To be successful in tendering, all it takes is to think deeper about the organisation that's tendering, the outcomes driving the contract, and your ability to provide a solution. Obtaining information on tenders in a new country can be useful to gain an understanding of market potential. In-depth research on likely contract opportunities can provide an understanding of likely competitors and the current solutions being sought by purchasers without the cost of establishing a branch office. Depending on your industry, many of these contracts may be recurring in nature. So, it's good to prepare yourself for the next time the opportunity is tendered. In most cases, you can access details of who won the last one, how much they charged, what they were requested to provide, and the quality of the outcomes. Plan a lot earlier than when the next invitation to respond is advertised. Your capability and capacity must be expressed in terms that are relevant to the buyer, as well as the culture and environment, and particularities of the country in which the opportunity appears. It seems simple enough, but is something that sellers often ignore – you need to empathise with the potential buyer. The logistics of supplying an overseas customer must be mapped in detail. A track record on similar projects is a plus, but the absence of previous experience can be offset by demonstrated capacity to plan for the project or supply chain resources. Market leaders add value to the solution offered by detailing innovative product, technique or process that ensures a greater certainty that the buyer will achieve the objectives of its purchase. A tender can lead to other selling opportunities. For example, there may be future purchases connected to a project that have not been identified. Some projects are not isolated and may lead to preferred supplier status being granted. The winner of such projects will invariably require sub-contractors, additional suppliers of component equipment, services and consumables. Consequently even when a tender is 'won' it's not yet over. However the emphasis shifts from concentrating on the tender agency to the prime contractor and this may actually mean a shift in geography as well. A different strategy is needed for providers whose services are independent of products. In this case, you should search for markets abroad that are similar to your markets in Australia. When preparing to seek export opportunities many services exporters gain initial experience in working offshore by performing work for the Australian Agency for International Development (AusAID). Other opportunities may be found by accessing opportunities funded by such organisations as the World Bank or the Asian Development Bank. Austrade representatives in the Washington office liaise with World Bank and in the Manila office liaise with Asian Development Bank headquarters so are well positioned to provide advice to potential services exporters on funded projects. In taking your business overseas, you can also look at licensing, joint ventures and offshore operations. While exporting direct may be profitable, other options can include licensing your product&rsquo;s manufacturing rights to a foreign company or setting up a foreign manufacturing joint venture. 1. Do I really need a foreign investment partner and what would they bring to the partnership? Overseas agencies usually recommend you find a foreign investment partner to help you with issues like financing, labour relations and distribution networks. Or you may need a local partner to deal with the local authorities. Whatever the reason, carefully question whether you will benefit from a partner&rsquo;s involvement, because it is very difficult and expensive to undo an investment agreement once it is signed. 2. Can I withdraw from an investment and recoup my equity? In some countries all fixed assets left after a joint venture company is wound up devolve to the domestic partner. 3. What are my legal responsibilities? Before you agree to an investment, find out how your legal responsibilities could affect you and your personal circumstances. If you don&rsquo;t understand all the technicalities, serious problems can develop for you overseas. Ask other foreign investors about their experiences and what works best in practice, and how to handle difficult issues overseas in culturally acceptable ways. Important: Each country has its own investment and tax laws. Before you decide to commit to a foreign investment, make sure you get good legal and financial advice. It can also help to check the experience of other companies which have chosen to invest in the country of interest to you. If your product or service is unique – for instance, an innovative quality-control system - franchising can be a smart way to expand your business overseas. Important: Make sure you discuss your franchise plans with a respected franchise broker with overseas links, and your accountant and legal adviser. Austrade can also help with advice about possible shortcuts, reducing risks, testing franchise concepts and locating master franchisers. Licensing involves a contractual arrangement with a company licensing the rights, for example, to technological know-how, design and intellectual property, to a foreign company in return for royalties or other kinds of payment. Licensing offers many advantages to a small business exporter - for instance, rapid entry into foreign markets, very little draw on capital, and quick returns. One disadvantage of licensing is that you might lose control over manufacturing and marketing, and the licensee may become your competitor if too much knowledge and know-how is transferred. Important: Take care to protect trademarks and intellectual property. Get help in preparing any agreements from a lawyer who knows about Australia and the country you plan to do business in. You may decide to export through a third party - this is called &lsquo;piggy-backing&rsquo;. This involves either an export trading house or agent, or a company already involved in export that would benefit by adding your products or services to their existing range. The advantages of piggy-backing is that all your transactions are onshore and easier to manage and you won&rsquo;t need to set up your own distribution channels offshore. However, it also means that you have less control of your export market and this may affect your potential to expand. Another option is where overseas agents or importers ask you to represent them in Australia and vice-versa. Before committing yourself to a cross-representation arrangement, think about how it will fit into your existing business, because it may not be worth the extra time and money involved. Although not commonly used, tolling has advantages for firms that have difficulties in matching the prices set by overseas competitors. With tolling you send the design and parts to a third country, where your product is assembled, packaged and despatched. Before the goods are assembled they remain your property. Once you pay the charges for &lsquo;transformation&rsquo; in the third country, the goods are sent to the final export market and billed by you to the importer or end customer or importer. Important: Find out if the country that finally receives your &lsquo;transformed&rsquo; goods will accept them from the third country. Otherwise, the rules about country of origin requirements come in to play and this can complicate your transactions. As part of the trend towards globalisation, the largest engineering and construction (E&C) firms are pre-qualifying firms and purchasing equipment and services through global supply chains (GSC). To access GSC, you need to be internationally competitive and possess global capability. This is especially so for technology intensive packages in the heavy engineering industry. It is important to be aware that pre-qualification does not guarantee success. You need to follow up with project specific marketing and promotion. Once registered, and with proactive marketing firms, you can benefit from stable, long-term partnerships with project execution managers. You need to be able to provide competitive, quality equipment or services to strict timelines and exact specification. Advances in e-Business and online procurement are playing a major role in the development of GSC. You should develop &lsquo;e-literacy&rsquo; in order to enter the GSC market. Targeting GSC is a new and exciting way to enter global markets, because it is efficient and cost effective. You can supply to any project anywhere being undertaken by the GSC operator. Regional procurement centres for large E&C companies, such as Singapore, are able to forward capability information to projects outside their region at no extra cost to the supplier. 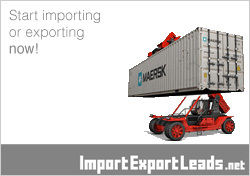 Provides a detailed plan for developing markets and also a basic guide for exporting. An international collaboration of trade promotion organisations focusing on knowledge of business-to-business electronic marketplaces. Provides information on directories, seminars, facts and figures and up to date news. information for exporters, including 'How to guides' with info on selecting agents and distributors, export plans, and strategic alliances and joint ventures. Provides news and information about international trade and trade agreements. An Australian based company that specialises in assisting firms source relevant tenders, manages the preparation of tender responses, and provides training on the tender process.